As you’ve heard me say before, I get bored pretty easily, in general, and with my home. I like to change things up every once in a while without going all out and buying new furniture. Moving around the items on my bookshelf, swapping out my throw pillows, and rearranging furniture are just a few things I like to do for a quick apartment refresh. 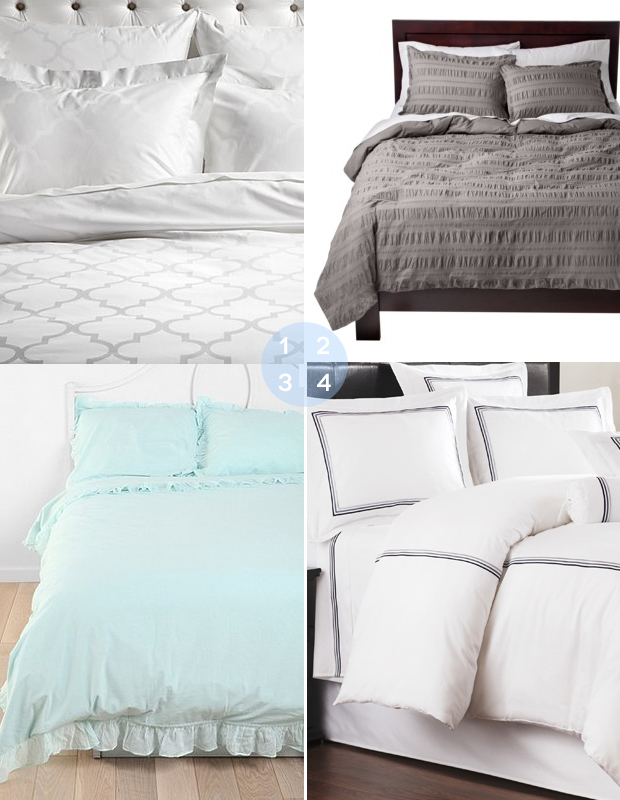 Another easy update I’ve done recently is change up my bedding. You can find pretty affordable bedding these days, whether at Urban Outfitters or World Market, and it’s a great way to create a totally new feel to your bedroom without spending a ton. 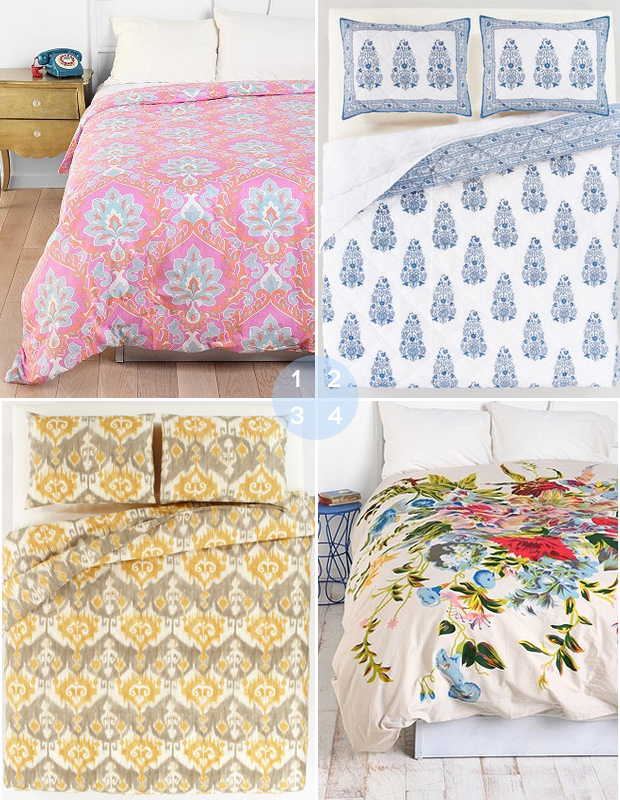 Updating your current bedding to a vibrant print can really change the look of your bedroom. Either add an all-over print with a new quilt and pillow shams, or just add printed euro shams for a pop of color (and an even quicker update). Soft neutrals create such a soothing vibe. 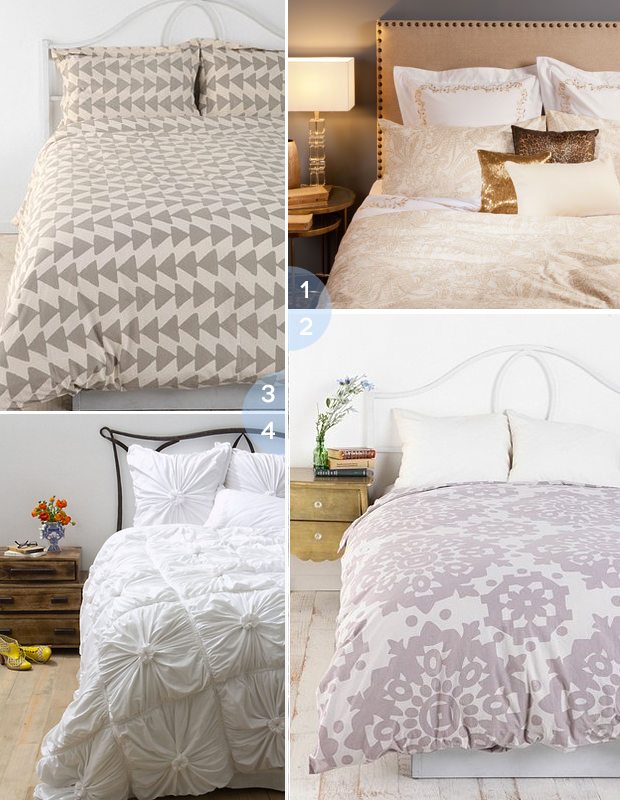 Go for texture or even a subtle print to turn your bedroom into a place of pampering and relaxation. Mixing neutral prints can be really interesting too. If you’ve already got a lot going on in your room, sometimes swapping out your bedding for something super simple can be really satisfying. It’ll keep the focus on the other great pieces in your place, or just create an overall minimalist look. How do you update your bedroom? Your Turn: Do you put your career first? Ask Amanda: Should I Break Up with My Boyfriend? The first two sets, I love #3s! The last, #1. Annnnd now I want to buy bedding. Ours is less than a year old, I’ll have to wait on that one! I found a steal on a Cynthia Rowley bed spread and it’s been mine for two years now! Love your picks, too! Love these ideas! I love the bedding at Zara – very cute and affordable! To get a good night’s sleep we need dream bedroom. And for your dream bedroom, bedroom furniture is very important. So decorate your bedroom with beautiful furniture.